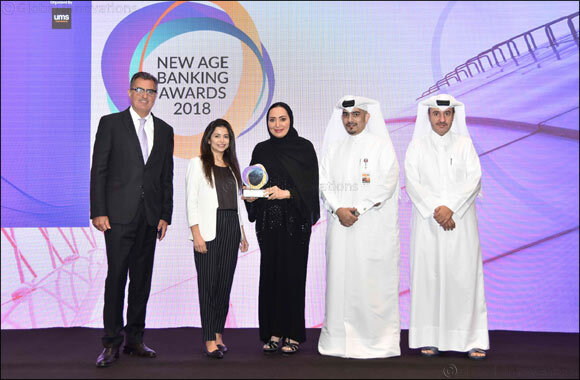 Doha, September 19, 2018 : Al Khalij Commercial Bank (al khaliji) P.Q.S.C., Qatar’s next generation bank, in recognition of its relentless efforts over years to adapt to market challenges while introducing new products and services, has won the ‘Best Bank in Productivity’ Award at the New Age Banking Awards 2018. The award to al khaliji Commercial was presented in ceremony held at InterContinental Doha – The City West Bay on September 18, 2018. The New Age Banking Awards 2018 was supported by Qatar Central Bank (QCB) and Qatar Financial Centre Regulatory Authority (QFCRA). The New Age Banking & Finance Awards recognize and celebrate outstanding achievements in the banking and finance industry. They are aimed at honoring organizations that have consistently demonstrated exemplary performance. These awards set a standard of excellence that is held in high regard. They aim to serve as an effective platform for financial institutes to showcase their talent and identify leaders within the industry. The Awards will not just recognize the endeavors of the most successful banking & financial organizations, but will also set a benchmark, inspiring other organizations to attain their own goals.